Take the law into your own hands, and you risk losing your grip on everything else—including your life. Lee Weston is as good-looking as he is quick tempered, and he’s got a lot to be angry about. 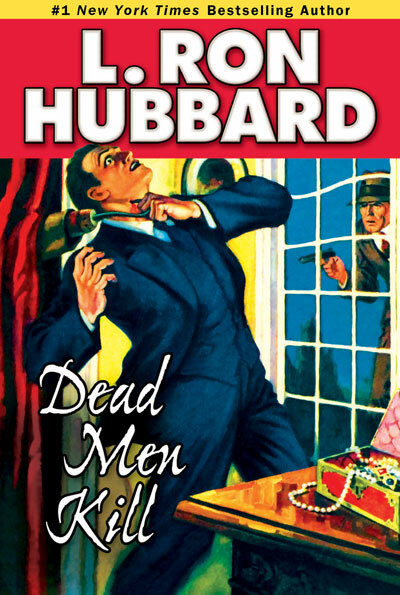 His father murdered, his family ranch torched, he goes gunning for Harvey Dodge—the man who he’s convinced is the killer—and it’s Lee who ends up on the wrong side of the law. Shot in a gunfight, on the run and running out of time, he holes up in a mountain hideout and waits for death to come find him. But he wakes up in the arms of a beautiful woman who has beat death to his door and nursed him back to life. She’s the first and only woman he has ever fallen for, and her name is Ellen Dodge—Harvey’s daughter. Can a great loss lead to a great love? Can the search for revenge lead to redemption? 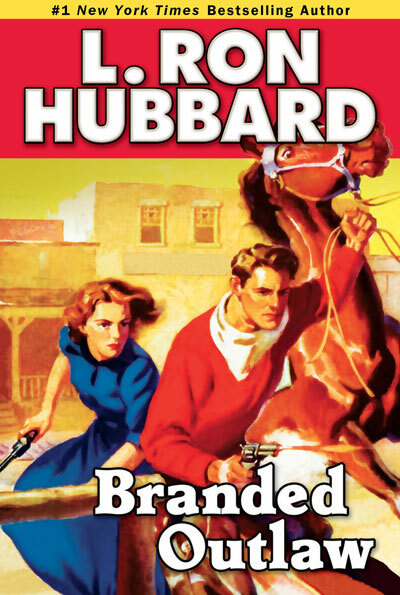 The answers lie in the wild heart of the Wild West—in Branded Outlaw. 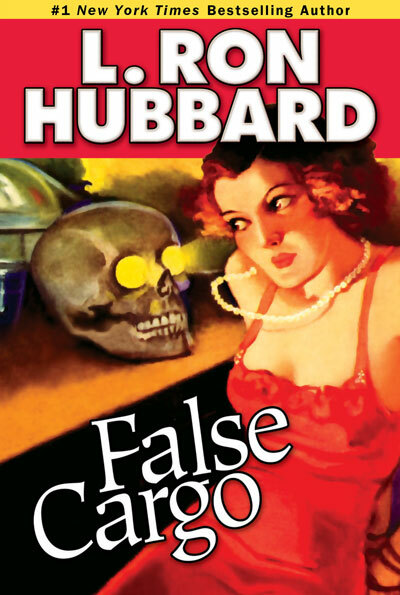 L. Ron Hubbard was so prolific, and his stories so much in demand, he occasionally had to publish under a pseudonym to ensure that his name wouldn’t appear twice in a single issue of a magazine. 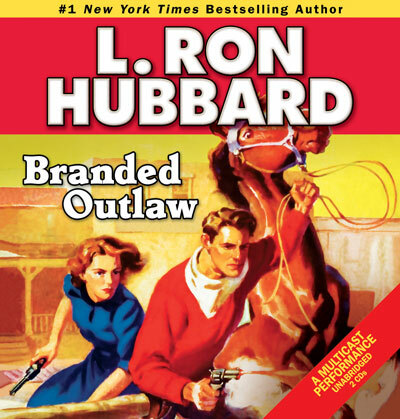 Thus did Branded Outlaw originally appear as being written by a writer named Barry Randolph. 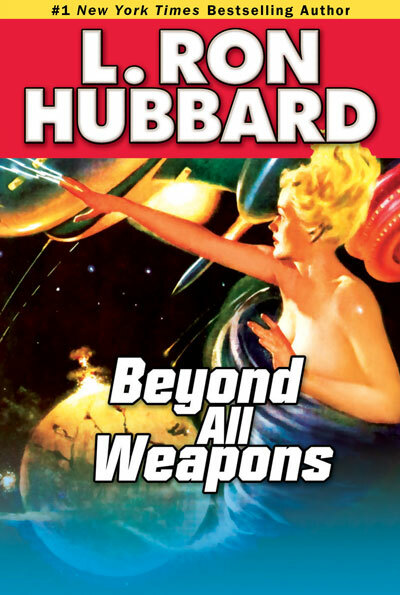 But as is clear from the action and authenticity of the story, it was L. Ron Hubbard behind the curtain pulling the levers. 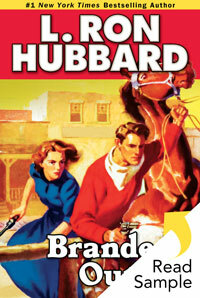 This is one of sixteen westerns he wrote in 1938—all influenced by a foray into New Mexico to round out his research. 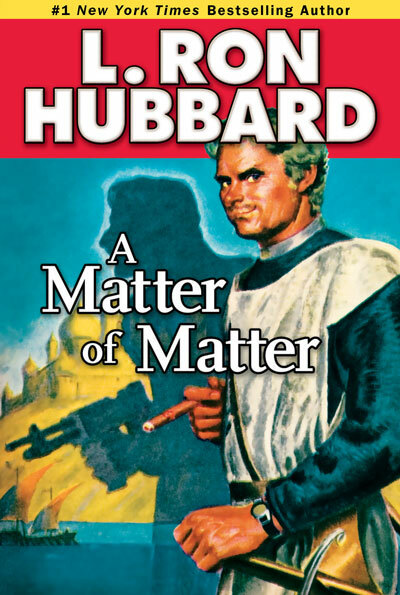 His unsurpassed knowledge of the West originated in his years growing up—and riding on—the range. beat, see the: to hear of or to see someone or something better than or surpassing (someone or something else). Chisholm Trail: a cattle trail leading north from San Antonio, Texas, to Abilene, Kansas; used in the late 1800s for about twenty years after the Civil War to drive cattle northward to the railhead of the Kansas Pacific Railway, where they were shipped eastward. Colt: the cowboy’s favorite gun, also known as the Peacemaker. It was the earliest type of revolver, invented and manufactured by Samuel Colt (1814–1862), who revolutionized the firearms industry. combines: combinations of persons or groups for the furtherance of political, commercial or other interests. court to, paid: tried to win somebody’s love. coyote: a contemptible person, especially a greedy or dishonest one. Custer’s Last Stand: also known as the Battle of the Little Bighorn, a battle between US Cavalry troops and Native Americans in 1876 near the Little Bighorn River in what is now Montana. The battle was the most famous incident in the Indian Wars, in which a US Cavalry detachment commanded by Lieutenant Colonel George Armstrong Custer was annihilated. dragnet: to systematically search for a wanted person. fastnesses: remote and secluded places; secure places, well protected by natural features. gumbo: soil that turns very sticky and muddy when it becomes wet; found throughout the central US. hell on skates: also “hell on wheels”; very impressive. Hickok: James Butler Hickok or better known as Wild Bill Hickok (1837–1876), a legendary figure in the American Old West. 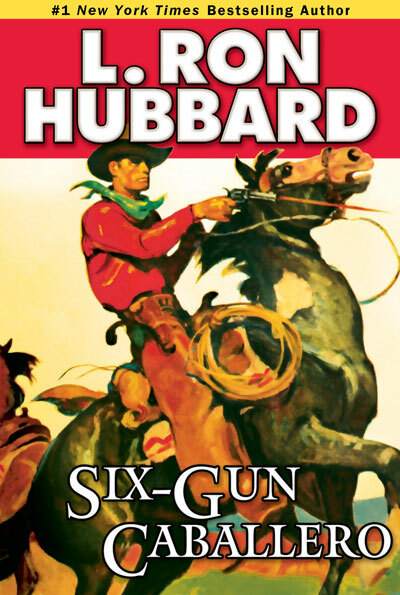 After fighting in the Union army during the Civil War, he became a famous army scout and, later, lawman and gunfighter. Holliday: John Henry “Doc” Holliday (1851–1887), an American dentist, gambler and gunfighter of the Old West frontier. He is usually remembered for his association with the famous marshal of the Arizona Territory, Wyatt Earp, whom he joined in the gunfight at the OK Corral against members of the Clanton gang of suspected cattle rustlers. in arms: up in arms; ready to take action; outraged. jasper: a fellow; a guy. jerk: to preserve (meat, especially beef) by cutting in strips and curing by drying in the sun. lynch mob: a group of people who capture and hang someone without legal arrest and trial, because they think the person has committed a crime. Madre de Dios: (Spanish) Mother of God. Masterson: William Barclay “Bat” Masterson (1853–1921), a legendary figure of the American West. He lived an adventurous life, which included stints as a buffalo hunter, US Army scout, gambler, frontier lawman, US marshal and, finally, sports editor and columnist for a New York newspaper. mow: haymow; the upper floor of a barn or stable used for storing hay. muy hidalgo: (Spanish) very noble. neck-reined: guided a horse by pressure of the reins against its neck. Overland: Sanderson’s Overland Stage Company; a well-known firm that ran a mountain stage line that serviced a large portion of southern Colorado and northern New Mexico during the late 1800s. Piedmont: a type of horse bred in the Piedmont region, an area of land lying between the Appalachian Mountains and the Atlantic coast. pitching hole: refers to a hole that provides access to the haymow (the upper floor of a barn or stable used for storing hay). It is used to pitch hay down to the animals. pushing up prickly pear: variation of “pushing up daisies”; to be dead. A prickly pear is a cactus with flattened, jointed, spiny stems and pear-shaped fruits that are edible in some species. quirt: 1. a riding whip with a short handle and a braided leather lash. 2. to use a quirt. ranny: ranahan; a cowboy or top ranch hand. remuda: a group of saddle horses from which ranch hands pick mounts for the day. royal flush: in poker, the highest “flush” or sequence of five consecutive cards of the same suit, including an ace, king, queen, jack and ten. saddle boot: a close-fitting covering or case for a gun or other weapon that straps to a saddle. Saint Ignacio: Saint Ignatius of Loyola, a Catholic saint. Used as an exclamation. seven-day wonder: someone or something that causes interest or excitement for a short period but is then quickly forgotten. tinhorn: a gambler of a cheap, flashy, pretentious kind. willow grate: an open lattice frame for cooking over a fire, made from the tough, pliable branches of a willow tree.